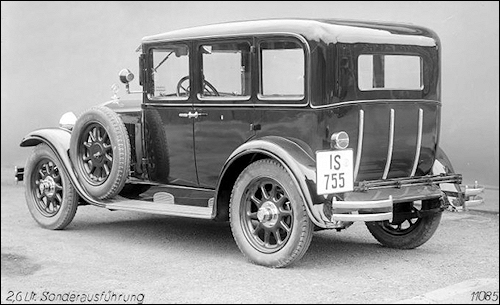 "Stuttgart" 200, a version of the 8/38 hp model, revised and further developed by Dr. Hans Nibel shown for the first time at the International Automobile and Motorcycle Exhibition in Berlin in 1928. 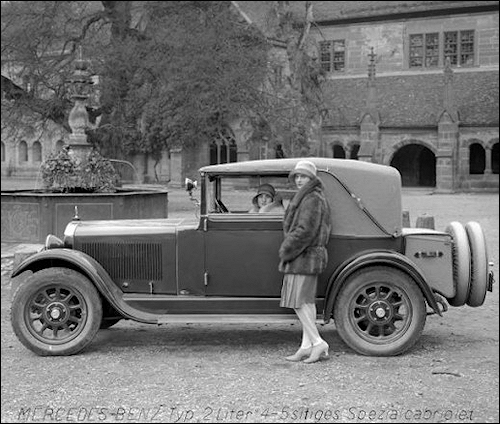 From January 1929 it can also be ordered with a 2.6 l engine. 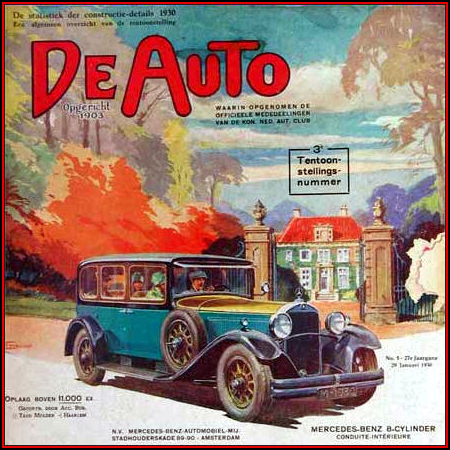 The 'in-house' designation W02 means a second model developed after Mercedes and Benz merge in May 1924. 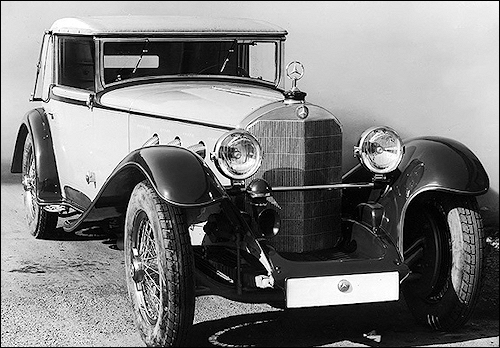 From August 1930, all Stuttgart models become available with optionall overdrive at an extra cost of RM 575. 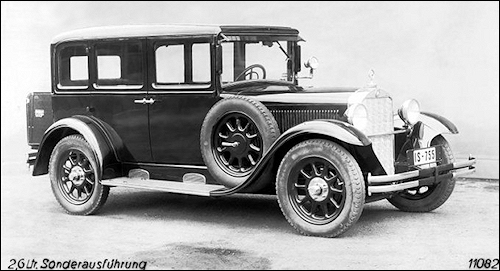 "Nürburg" 460 (W 08) made its debut at the Paris Motor Show in 1928. 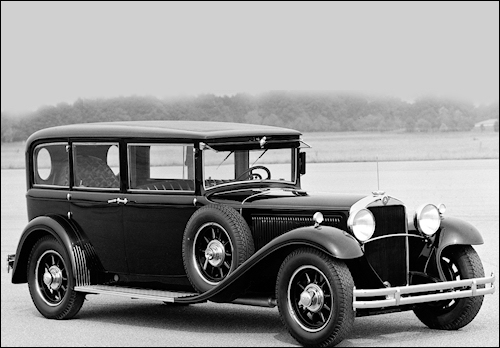 This model was revised in 1929 with more elegant, lower bodywork and a low frame launched again in Paris. 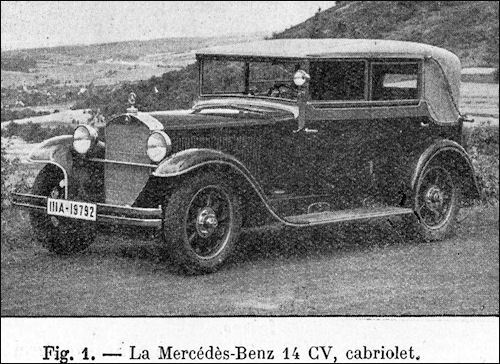 It is the first Mercedes-Benz production car with an 8-cylinder in-line engine. 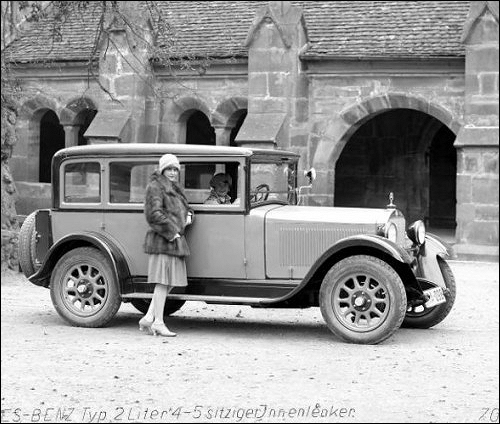 "Mannheim" 350 (W 10) is an evolution of the 14/60 hp 3.5 l car of 1928, was shown for the first time in October last year. 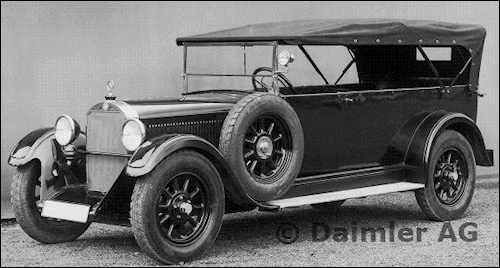 The choice of body variants comprise a four-seat open tourer, two saloons with four or six seats, a six-seater pullman saloon as well as the four-seater Convertibles C and D. Of course, the chassis-only is also available. 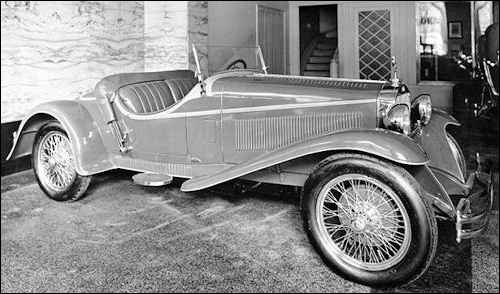 "S" (W 06) made its debut at Nürburgring in June 1927, where Rudolf Caracciola and Adolf Rosenberger finished first and second respectively. 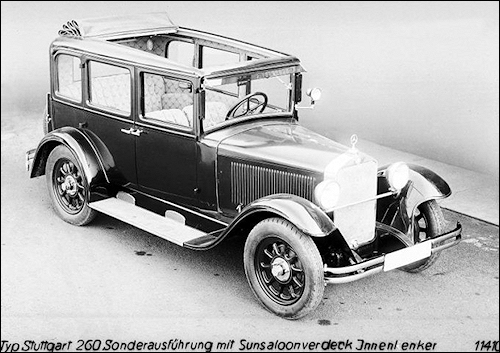 Is was based on the Typ 'K' with highly modified, lowered chassis and the engine set back 30 cm to improve load distribution. 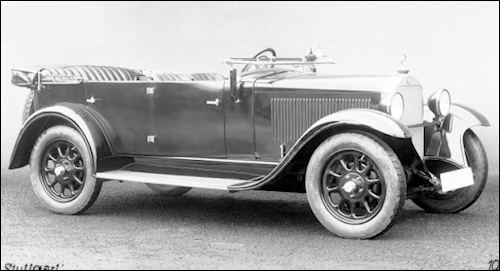 The power unit displacement was enlarged to 6.8 litre and given dual ignition with two spark plugs per cylinder, one of which was supplied by the conventional high-voltage magneto ignition and the other by battery ignition. In combination with a twin-carburettor system, the new sports engine had an official power rating of 180 hp with supercharger. Works engines with higher compression ratios delivered up to 220 hp. Next year the engine grew again to 7.1 litre giving 140/200 hp and up to 275 hp in racing version. 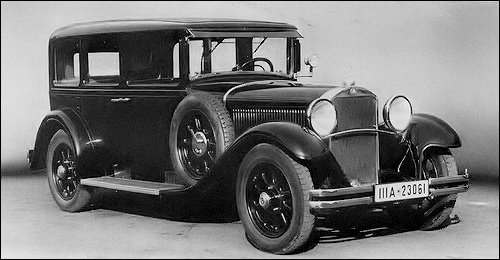 This was the "SS" which made its debut in June 1928. 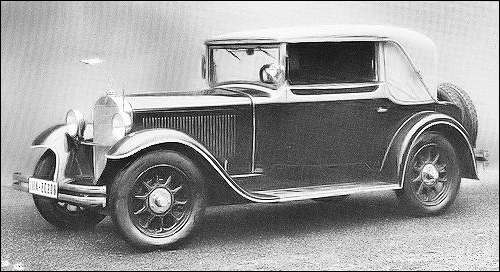 "SSK" Super Sport Kurz (Super Sport Short) was born in mid-1928 on shortened 'S' chassis with the 7.1 litre engine. 770 "Großer Mercedes" was unveiled in October at the Paris Motor Show. The 7.7-litre eight-cylinder in-line engine, like the "S"‑series models is equipped with dual ignition system has a power output of 150 hp in naturally aspirated mode rising to 200 hp when the Roots supercharger cut in at wide-open throttle. 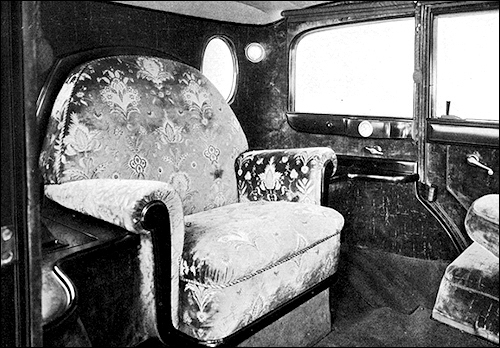 The pullman saloon cost a total of RM 41,000. An engine without supercharger would save RM 3,000. The three-speed transmission with manually selectable overdrive give the driver a choice of six gears. 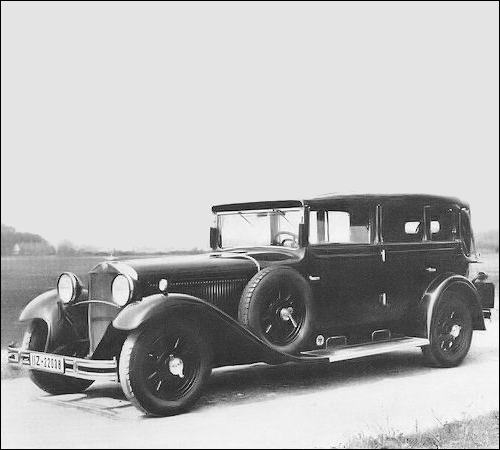 January: In an effort to secure jobs, the Daimler-Benz plant in Sindelfingen supplies several thousand car bodies for the Wanderer W 11. 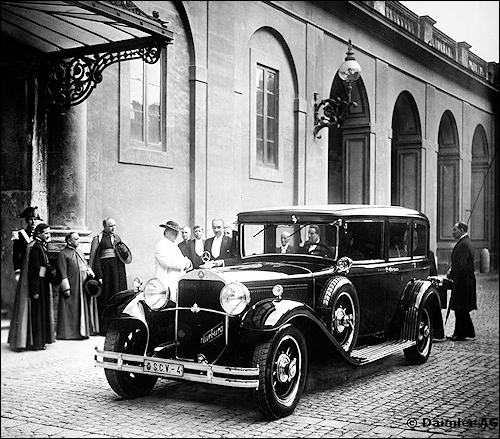 July: Technical Manager of the Untertürkheim plant, Dr. Hans Nibel, presents Pope Pius XI with a specially constructed "Nürburg" car. 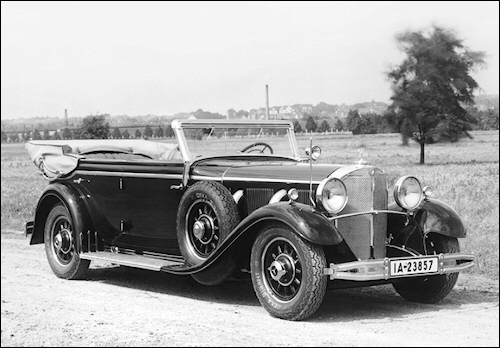 October 2 - 12: At the Paris Motor Show Daimler-Benz AG presents its biggest, heaviest and most expensive passenger car, the Mercedes-Benz 770 "Super Mercedes" (W 07), with a 7.7 liter, 8-cylinder in-line engine. The world economic crisis begins to take effect, with a quarter of the year's production having to be stockpiled. As a rationalization measure, car production is concentrated in Untertürkheim, truck-manufacture in Gaggenau and body-construction in Sindelfingen. 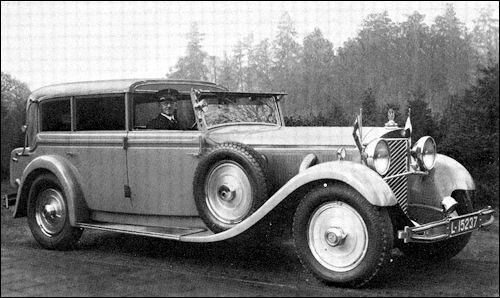 Dr Hans Nibel, head of design and member of the Board of Management at Daimler-Benz AG, presents Pope Pius XI with a special version of the Nürburg 460. (W 06) SS (27/170/225 PS) (R6 cyl, 7065 ccm, 170/225 PS; wb: 3400 mm) - 32 ex. (WS 06) SSK (27/180/250 PS) (R6 cyl, 7065 ccm, 180/250 PS; wb: 2950 mm) - 2 ex. (W 06 RS) SSKL (27/240/300 PS) (R6 cyl, 7065 ccm, 240/300 PS; wb: 2950 mm) - 1 ex. Preliminary details which have already been released of the new Mercedes have created great interest. This car is rated at 45-280 h.p., and is a supercharged straight-eight. 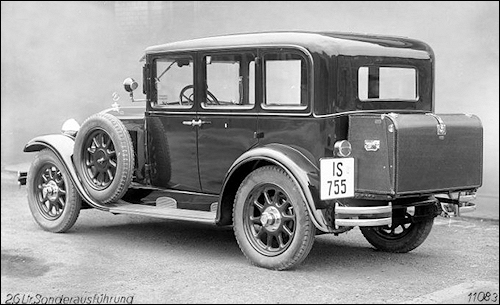 The engine has a cubic capacity of 7.7 litres and gives off its maximum B.H.P. at 2,700 r.p.m. Other details are:—bore and stroke dimensions, 95 mm. x 135 mm. (cubic capacity 7655 c.c.). R.A.C. 44-75 h.p. 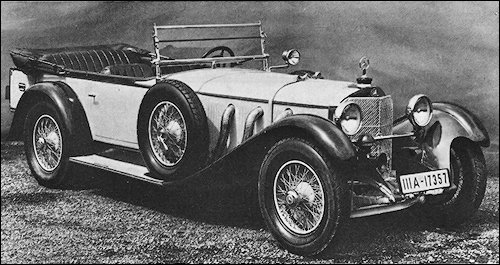 O.H.V., operated by push rods; dual ignition; special double carburettor with automatic accelerator pump; gearbox: special Mercedes-Benz-Maybach multiple-range, giving six speeds. The change is effected by the employment of the partial vacuum in the inlet manifold, controlled from the steering wheel. 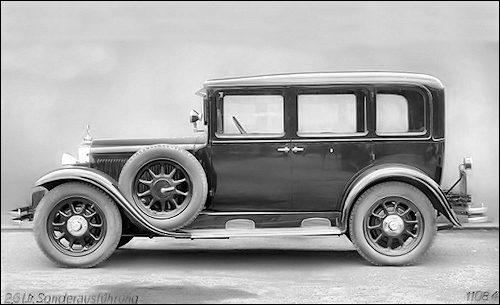 Low-built chassis, with frame upswept at both ends. 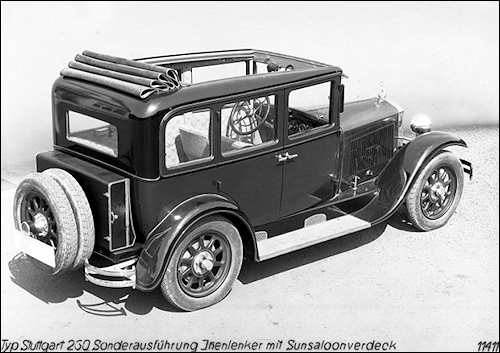 Suspension: long semi-elliptic springs, with special damping device on front axle. Vacuum-servo 4-wheel brakes. 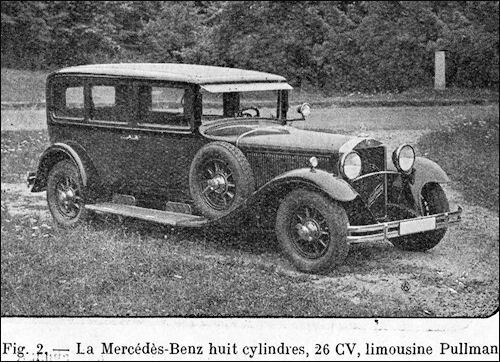 The other Mercedes-Benz models will be continued. These are :—type 260 (21-60 h.p.-6 cyl. 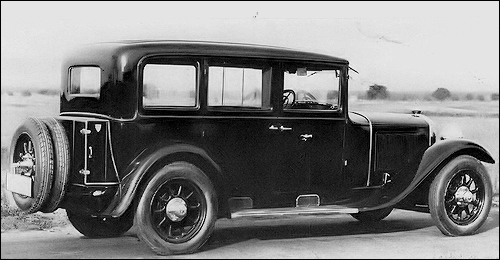 ), type 460 (32-90 h.p. 8 cyl. 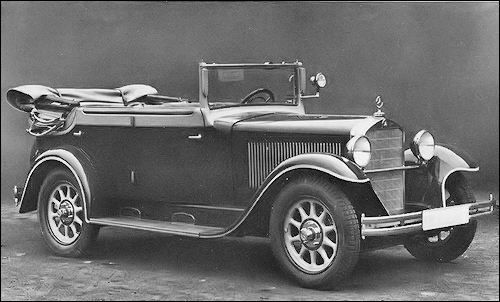 ), type 630a (24-100 h.p.-6 cyl. 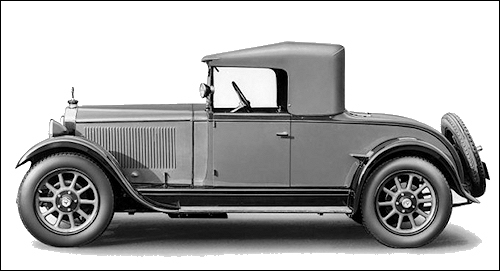 ), type 630b (33-140 h.p.-6 cyl. ), type K (33-180 h.p.-6 cyl. 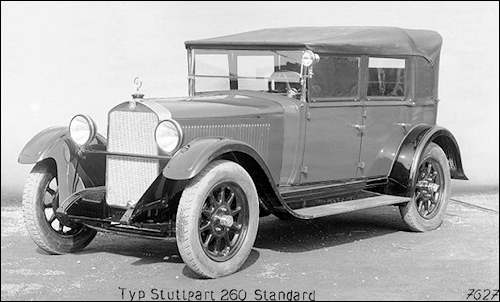 ), type S.S. (38-250 h.p.-6 cyl.). 710 SS z nadwoziem wykonanym przez firmę Forrest-Lycett. (W 07) 770 (R8 cyl, supercharged, 7655 ccm, 150/200 PS; wb: 3750 mm) - new model - 4ex. July 18/19: Rudolf Caracciola wins the Irish Grand Prix and the "Irish Times Trophy" in an "SSK". He covers the 300 mile course at an average speed of 139 km/h. 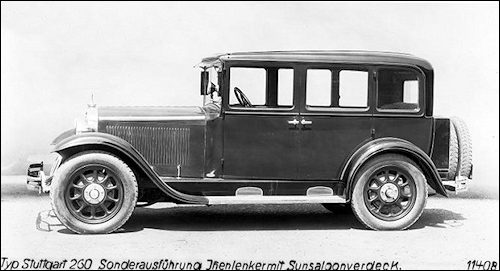 The "SSK" is a further development of the "SS" with a 7 liter engine producing 170 hp without and 225 hp with supercharger. 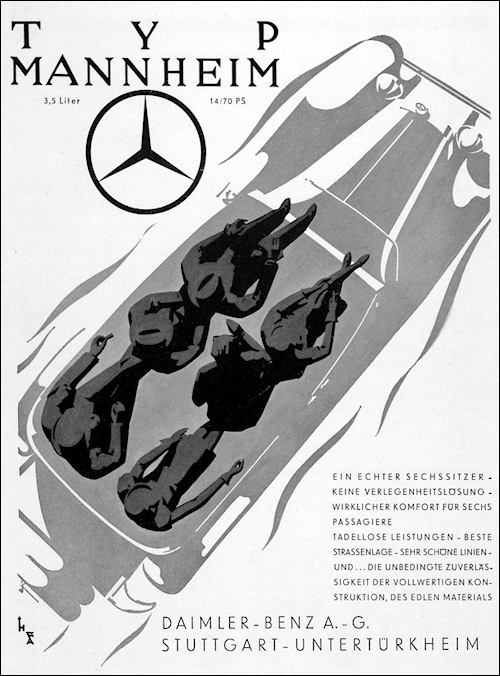 9/10 August: Rudolf Caracciola drives his Mercedes-Benz SSK to victory in the International Klausen Pass Race, setting a new sports car record along the way. 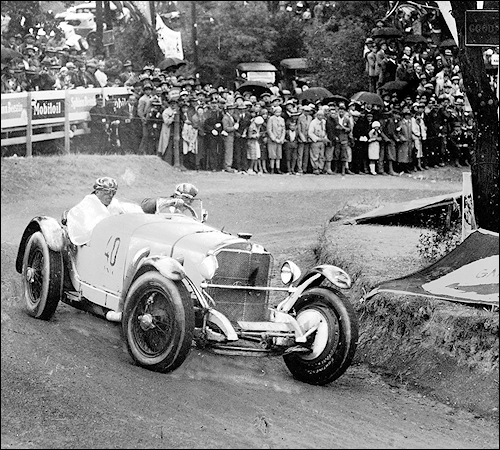 September: Rudolf Caracciola becomes "European Hill-Climb Champion" in a Mercedes-Benz "SSK". 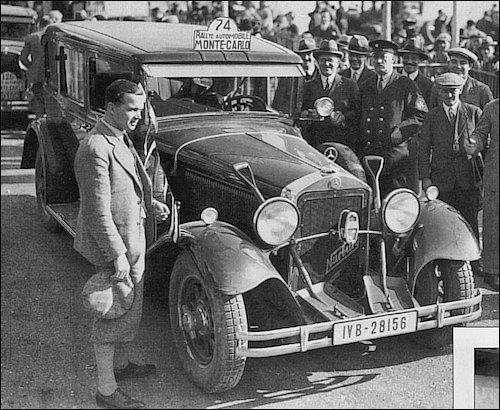 06.04.1930Monaco GP 0 2 Max Arco-Zinneberg SSK 7.1 acc. 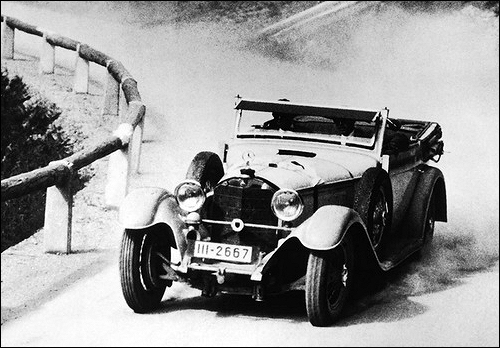 21.06.1930Le Mans 1 Caracciola / Werner SS (7069 cc) fail. Irish Grand Prix in Dublin, July 18-19, 1930. 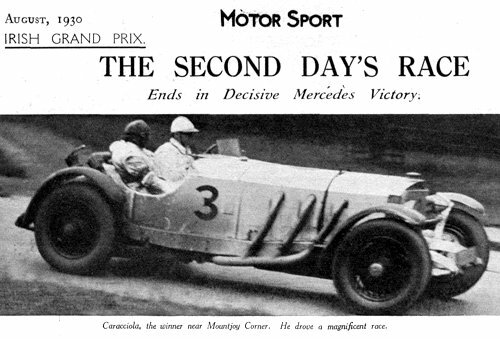 Overall winner Rudolf Caracciola (number 3) with a Mercedes-Benz SSK at Mountjoy Corner, followed by Earl Howe (2), who takes third place in a Mercedes-Benz SS. 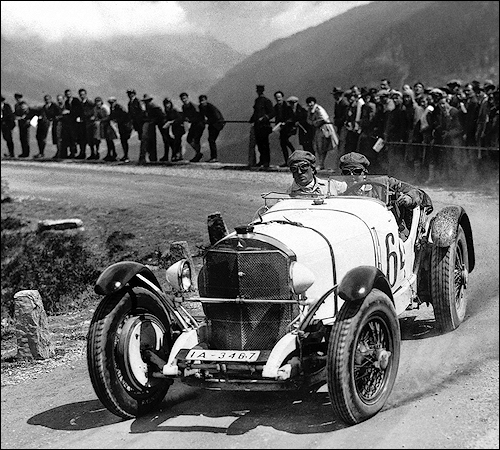 International Klausen Pass Race in Switzerland, August 9-10, 1930. 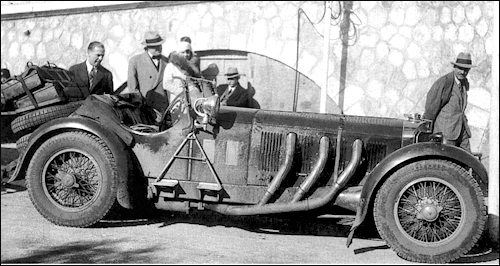 Rudolf Caracciola (start number 64) with a Mercedes-Benz SSK. 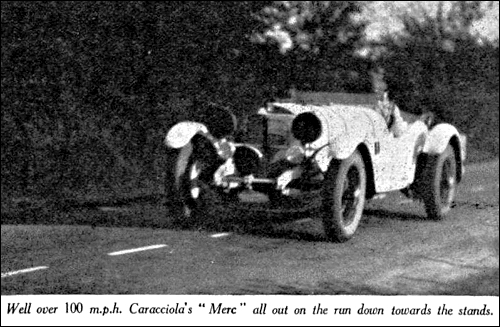 Caracciola won in the 8-liter sports car category. Sports car record. 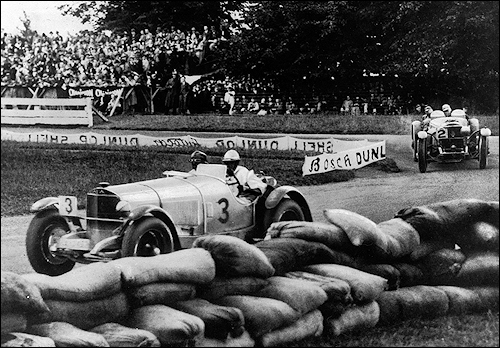 Rudolf Caracciola (start number 40) in the Mercedes-Benz SSK. 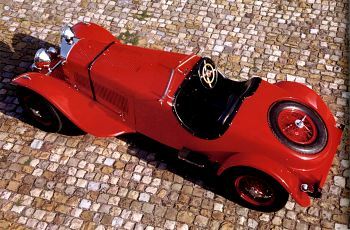 Caracciola won in the over-8-liter sports car category. Best time of the day, record, single-handed, "European Hill Climb Champion. 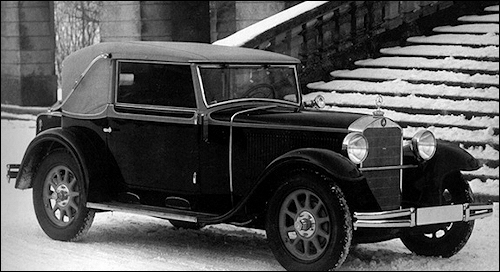 Rudolf Caracciola and Otto Merz's Mercedes-Benz Nurburg 460 finished RMC 15th, driven from Tallinn. No. 94, J.E.P. Howey, Mercedes-Benz SSK 7069 cc, start from John o'Groats, 76th.